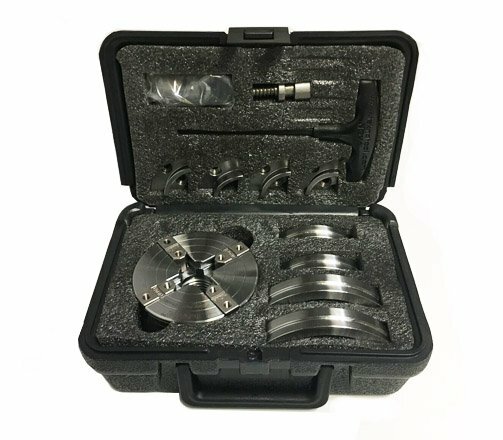 Includes the popular SuperNOVA2 Chuck dedicated threaded 1 ¼” 8TPI, 50mm/2″ Jaws, 100mm/4″ Jaws, 130mm/5″ Jaws, Woodworm screw, T Handle Chuck Key and Fastenings in a sturdy storage case. Perfect for gifting. Includes SuperNOVA2 Dedicated 1 1 /4” x 8TPI Chuck, JS100N 100mm/4” Jaws, JS130N 130mm/5”Jaws, JS50N 50mm/2”Jaws, Woodworm Screw, T Handle Chuck Key, Fastenings all in a sturdy storage and carry case. One handed geared action; powerful and positive grip. 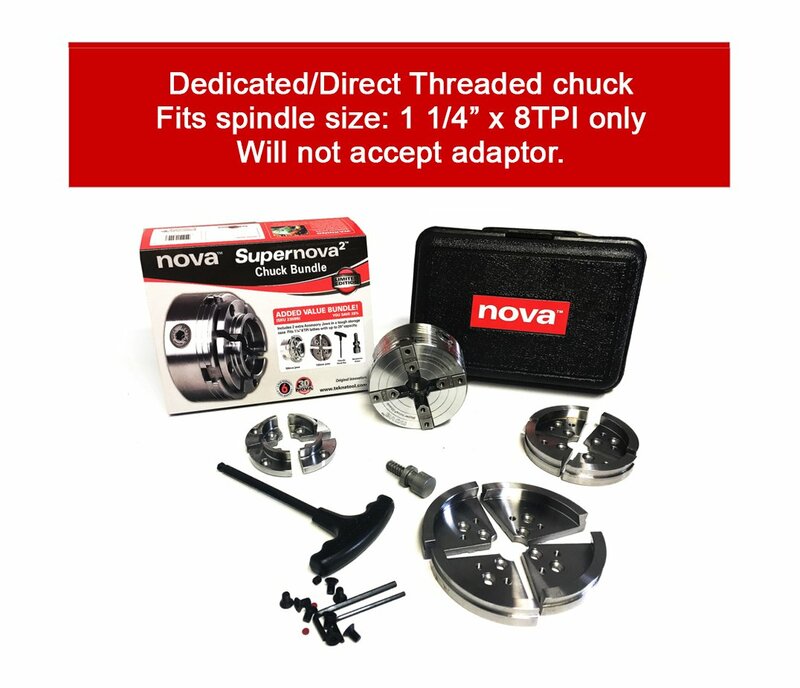 Takes the same accessory range as all other NOVA Chucks. 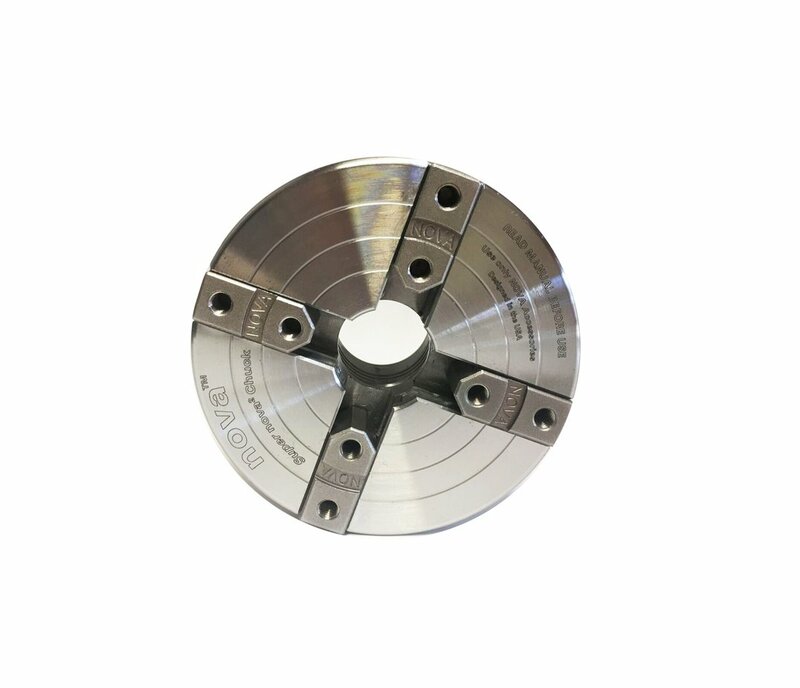 Comes in a dedicated 1-1/4” x 8TPI thread, fits the most popular lathes on the market.